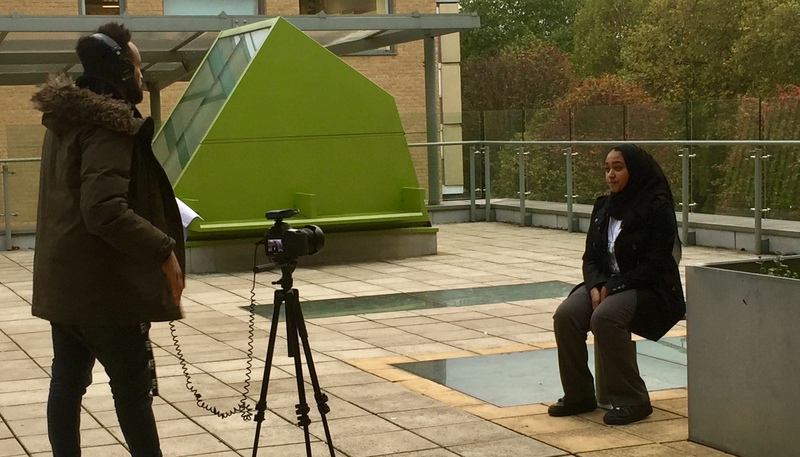 Five EGA students were given the opportunity to voice their opinions about the Kings Cross and Euston development in a film to be presented to 300 business leaders from the area. The film will be shown at a prestigious event entitled "Destination Next" at Kings Place, examining the social and environmental impact of the world-class development. Students spoke about how they use the area and how the changes have impacted them as young Londoners living and studying nearby. Ahmed Faid from Dose of Society who interviewed and filmed the girls was very impressed at their thoughts and articulacy. Well done to Sonya Miah, Ilham Anwar, Iris Ebbatson Solomon, Mahira Islam and Sara Nur.